Not all motorcycle personal injury attorneys are trial lawyers. Many people don’t realize that this is a specialized area of law practice – trial law. 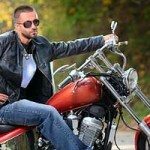 With Pennsylvania motorcycle accident lawyer Lee D. Gaber, the Cycle Attorney, you get a specialist within a specialist! Not only do I specialize in motorcycle injuries, I am also an experienced trial lawyer. Why is this important? It gives you another level of expertise, that you can view as a tool. By that, I mean being a motorcycle accident trial lawyer allows me to have the opportunity to go straight to filing for a motorcycle accident lawsuit if the insurance company looks like they are unwilling to settle. This extra leverage can also mean we have an opportunity to speed up the whole process of getting you compensation for your injuries. 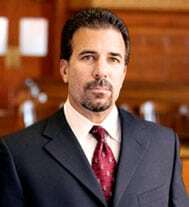 Most personal injury lawyers are negotiators, but not necessarily trial attorneys, so they don’t prepare your case from the onset for the possibility that the claim may need to be escalated to that level. If they can’t negotiate a fair settlement for you, they either have to settle for less than you deserve, or they will have to refer the case to another attorney to handle. This disruption can cause delays and can even hurt your case. As your motorcycle lawyer, I handle every aspect of your case, start to finish, with the help of my valuable assistant Tammy. We have been handling motorcycle accident cases exclusively since 1991. 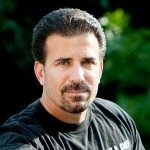 My reputation as a competent trial lawyer means that insurance companies are aware of who is opposing them, respect it and may be more likely to adjust their attitudes to slant towards settling your case, in lieu of attempting to win in front of a jury. If you want the best chance of getting the maximum award you deserve, you want the Cycle Attorney, Lee D. Gaber, Esquire. Call 888-cycle-law any time for your Pennsylvania or New Jersey motorcycle accident representation.